Well done to all our juniors who won their first junior championship! The best place to start is to come to one of our club “Brick” sessions at Parramatta Park. It’s on a Saturday at Parramatta Park -the bend near the end of the cricket fields (there is a wide path) it’s called “Salters Field” (near the cottages). Brick is held on both Saturday and Sunday and runs for the majority of the year – we post on our facebook page weekly when its not on due to special events etc. Our club coaches Daniel Bain and Emir Mujcinovic also run their own specific junior training programs that are extremely popular. 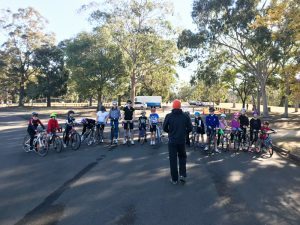 At Hills Tri Club we aim to support juniors as they progress through the sport of triathlon by facilitating a fun safe environment for training and racing. We encourage all kids to come and give tri a try! At every Hills Tri event, we hold junior races as well as our main adults race that we are REALLY proud of! We don’t award medals for 1st place, at our events it all about having a good time, racing friends and setting personal best times. Enter via our race entry page. Parents please note that we can’t put on events without YOUR help. We need about 15 parents each race to help direct kids in the right direction (or they all get lost / go the wrong way / do too many laps.. Hey they’re kids – as soon as the first person does the wrong thing they all just follow blindly!). In order to keep tabs on who is helping out and to ensure we have enough people, we have set up a volunteer registration at our race page. Please help out and don’t just stand there watching, only to then wonder why things don’t go perfectly on race day. Onebody Indoor Cycling sessions allow you to use your own bike for the most specific training option available indoors. We use a multi-rider system of Computrainers combined with the latest software to provide you with power based resistance at the optimal level to improve your performance. Book in via the app. Onebody Strength, Conditioning & Mobility Training is suitable for athletes of all abilities that are looking to improve their sporting performance. ACTIVEKIDS Voucher Offer: Kids can join and race for FREE! 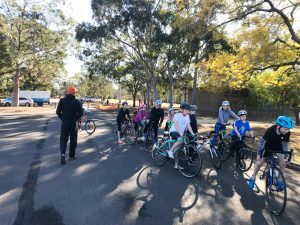 Great news – Hills Tri Club has been approved to be provider of the $100 Active Kids voucher from the NSW office of sport – just in time for membership renewal on Sunday. 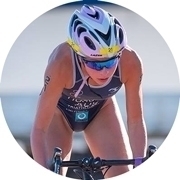 Join TA* + Join Hills Tri Club ($25). Pay for each race as you go as per normal. No vouchers can be redeemed via this option. Join TA* + Join Hills Tri Club for free using your $100 voucher, which will include free entry to all of our club triathlons this season! Visit www.service.nsw.gov.au and create or login to your MyServiceNSW Account. Email president@hillstriclub with your child’s full name, and voucher ID number. We will then email you a membership code to enter at the checkout of the TA membership renewal page. At the checkout, use the code that Hills tri Club gives you which will reduce the price by $100, so you’ll only be left to pay the TA fee. Your free race entry code for the year will be the same at the MEMERBSHIP CODE that Hills Club emails you. Nice and simple! You still must enter each race individually and use the code at the checkout to get free race entry ie don’t just rock up to a race and think because you have the active kids voucher that you’re in, we wont be manually entering ANYONE, its up to PARENTS to enter their kids to each race. Registration for each race opens once the previous race is concoluded. Race entries strickly close the wednesady before each race. Anyone who needs to do an late entry after the cut off will need to pay the $20 late fee. Race entry for an ACTIVEKIDS voucher can be ANY distance that you child is abale to race e.g junior distances, Enticer or Sprint. No team entires available with free active kids vouchers – individuals only. 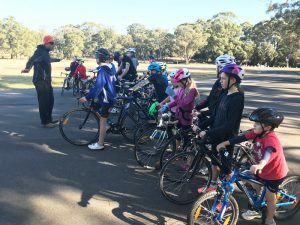 Our winter Duathlon is not included in the active kids program, Only the Hills Tri Series. We think this is probably the best Active Kids offer out there in the triathlon community. We hope we get a lot of Juniors to take advantage of it! Any tips of advice for juniors thinking about getting into the sport? Have fun whilst you are racing and take the opportunity at events to meet new people and learn from experienced athletes. I watched my father compete and wanted to join in. The Garmin Series race in the heat, it was challenging and so good to get it finished. Travelling with my family to watch Dad race in the ITU World Championship in Chicago. What are the benefits of joining Hills Tri Club for you personally? Being able to race with my friends. To race the Enticer distance in other states.Any tips or advice for juniors thinking about getting into the sport? You don’t need to have the best gear to compete, just go and race to have fun. 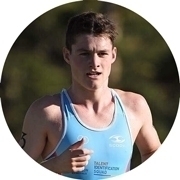 When I was in Y6 I watched my Dad race in the 70.3 World Champs in Mont Tremblant, 2014 and thought then that I was going to compete at NSW All Schools the following year when I got to High School. I trained a bit for the race fortunately I’ve always been a swimmer. 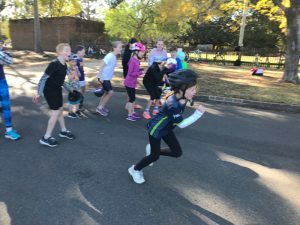 So, I did NSW All Schools in Year 7 and loved every minute of the race – I think I came about 25th. I thought then that I was going to train hard for the race the following year and do it again. I did this – and started running at my school (Knox) in addition to continuing with my swimming squads at school. Y8 came and I competed at All Schools again and this and I won the race and got to go and compete at Nationals at Harvey Bay. My highlight defiantly has to be racing around the country and racing on different courses. I’ve also made really great mates along the way. I love this Club. I’ve made such good friends with other Hills Tri Club members. Hills have also been very supportive of me and interested in my progress as a triathlete. Any tips or advice for juniors thinking about getting into the sport? How long have you’ve been a Hills Tri Club Member? I joined the Hills Tri Club in January 2017 in after competing in my local school zone Triathlon. 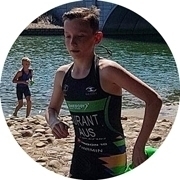 I was already a competitive swimmer and liked to run, when I was doing the school Tri I really enjoyed it and noticed that it was really fun. When I did the first Hills race everyone was so nice and relaxed. I knew that I wanted to do more races. My favourite event is the Enticer, so far I’ve really enjoyed racing this event the most at the Elite Energy Event in Canberra. What is your race highlight so far? I raced in the Elite Energy Super Sprint Event in Nowra, whilst the Jellyfish were not great, I had a really good run and was happy with overall 4th and 1st in my age group. I met our Juniors Coach Robyn at the first race and she helped me so much, her brick sessions gave me the skills to become draft legal and I’ve made some really great friends. My little sister can also race when I am racing which is pretty cool. 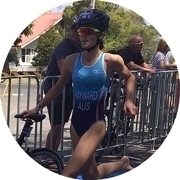 My goal is to finish in the top ten in the Australian ITU Triathlon Series for Youth B Women, I’m currently 10th and have one more race in WA to go. Any tips or advice for women getting into the sport? I think that you just have to give it a go, find a good group to train with ahead of time, and just try your best, no-one is judging you.